We will be wiped, but not whipped. Meet Ragnar, He is my favorite character for Cyrodiil and he is a veteran of many hundreds of hours running alone or with groups in this war torn area. If you have read my other articles, Like Getting Killed is half the fun, and Game Play Hints for Cyrodiil you would have discovered that while you sleep Ragnar and I have been learning some pretty neat stuff. I aim to share some of this with you in the hope of encouraging you to become a regular member of the Savage Hearts raiding team. Firstly let me say, you will get killed in Cyrodiil. We all have gone through this frustrating experience but please don’t be embarrassed when this happens to you. The team is here to help, we have all been through it and in fact sometimes dying can be a sneaky and useful tactic. So be of good cheer, the rumors of your death have been exaggerated. More on this later. Secondly, there is no substitute for experience in the field, you just have to join others and learn as you go. That is why voice chat is essential, it is instant and gives you a sense of real companionship. At Savage Hearts we have many veterans who play in just about all of the time zones so you are sure to find others you can join, no matter in what part of the globe you reside. We play in Shor and occasionally in Vivec, but our fortnightly official event is in Shor. 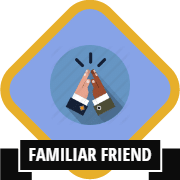 Fear not, you will not always be the weakest team member and as you come up through the ranks you will make true and long lasting friendships built on team work and mutual achievement. Each team player has an in-build desire to resurrect you and guide you. If you are left behind, it is not a slight on you but a temporary oversight probably due to the pressures of battle. Don’t be afraid to ask for a resurrection and don’t forget that even while dead on the ground you are still able to talk and report vital enemy movements to your group. The leaders job is twofold, one choose the mission for the group and two keep the group viable and alive. Whilst doing this your leader should be talking you through each phase of the mission and explaining why certain things are done. Now this repetitive chatter may seem crazy if you are already experienced but actually it is very helpful in keeping everyone on the same page. The one thing you don’t want is a player standing around wondering what to do next. 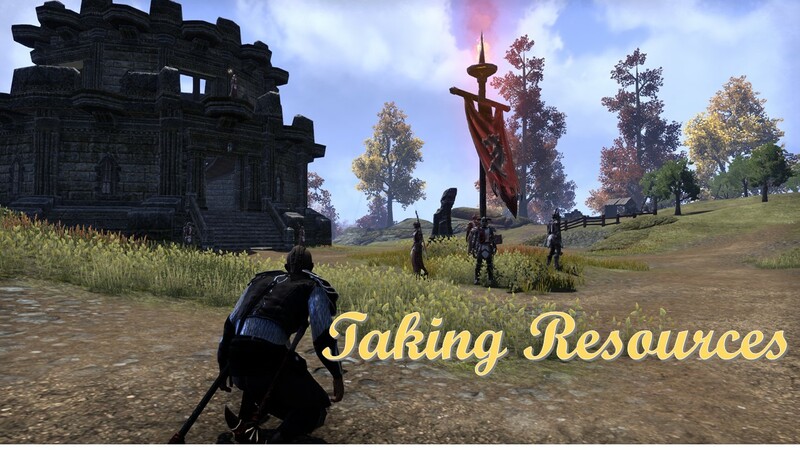 The repetitive instructions from the leader to the group are vital for real teamwork, and make no mistake, Cyrodiil is no place for the rebellious hero. 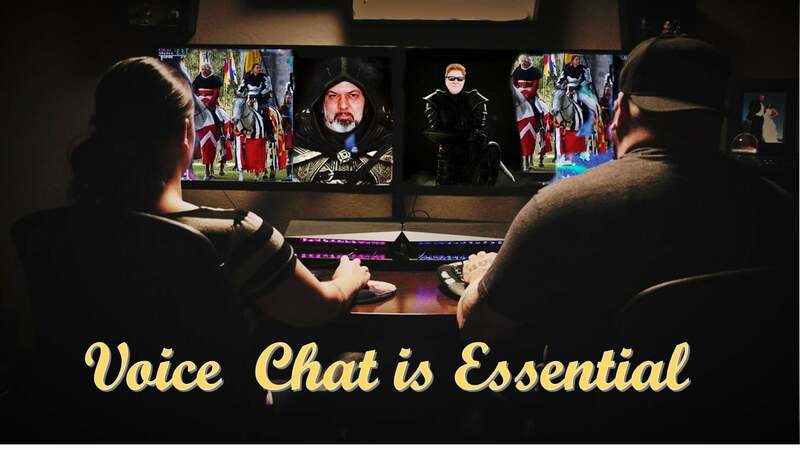 The leader is dependent on feedback from his group, and so the conversation needs to be two way but having said that, it is OK to keep the channel clear by not cluttering it with unnecessary chatter especially during a melee. 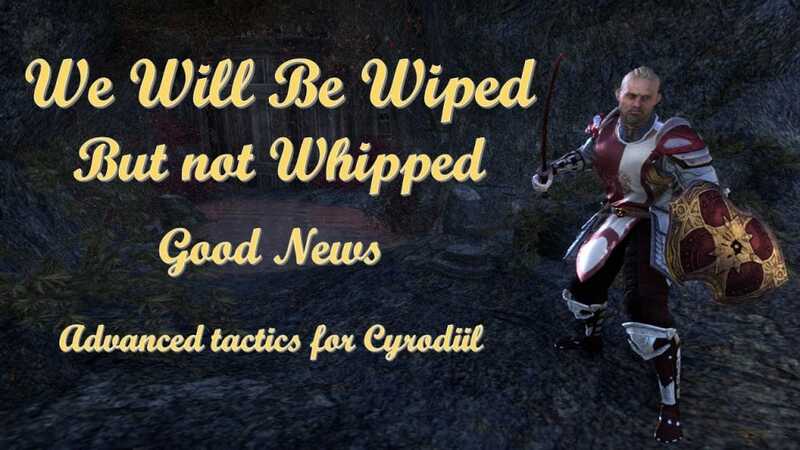 So our Savage Hearts web page is filled with lots of articles on Cyrodiil and character builds that I recommend you take a look at but this article has some advanced stuff in it. When entering any fight, it is essential to take the time to buff up first. For example, one tactic is to knock a keep door down and seconds before entering, the team gather to one side to buff up. 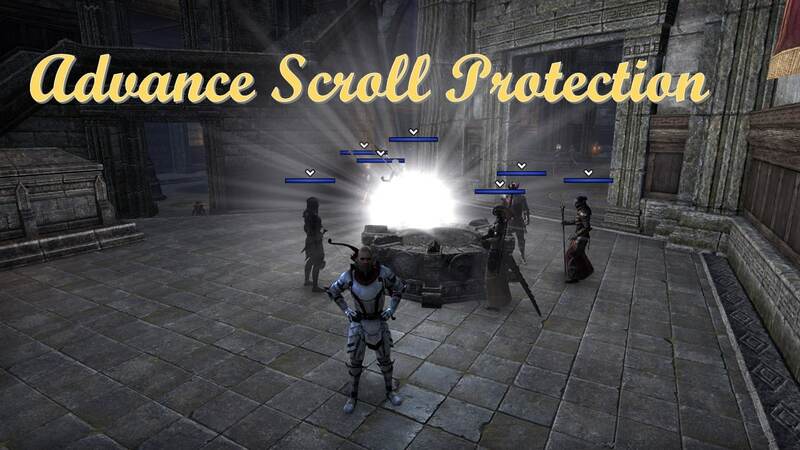 A designated player will instigate the rapid buff for the quick charge to the back and no player will negate these buffs with AOE until the group has reached the target. Once here the “Ulti” dumps can be dropped and the route of the enemy begins. Your leader should talk you through this combination of tactics as you go but even if they don’t team members should do it any way when working as a group. Most of the abilities will be found on your Assault and Support bars and even if you don’t have them at this stage discuss this with the team to work out what would be the best combination for you to morph to. They will be only too pleased to assist, since their livelihood depends on the team working together. Two “Add ons” that will help are Dressing Room and Papa Crown. Dressing room helps you quickly equip for battle and Papa crown puts a big crown over your leaders head so you know where he is at all times. Have you ever seen an enemy player just standing in front of you daring you to kill him? Well this could be for a number of reasons. Firstly he may be AFK for a moment and doesn’t have the sense to go into hiding, or his computer or game has crashed leaving him out in the open and at your mercy or he could be wanting you to kill him. But why would he want to commit suicide? One reason is that it is a short cut back to base for him, probably to turn in a mission and get another. This is a particularly handy tactic if you are far from home and don’t wish to waste time riding to a friendly Keep. One feature of blood porting is that you can use it to get to a Keep or Castle that has been cut off from your lines of communication. So instead of returning to one of the two home bases for banking, merchant use or mission collecting you can rally at a stronghold in far distant enemy territory. I have been on raids where the tactic was to attack a Keep with the intention of getting wiped so that we could all rally at a Keep that had been cut off. Now this type of tactic takes trust and cooperation of your team and is not recommended when you have PUGS in your group that are not in voice chat with you. To rise through the ranks you need to gain experience and AP points. When you have a small party you can move quickly around the map. The ideal tactic is to take farm, mine and mill resources. This makes the enemy think you are about to take the main castle and cut off their lines of communication. This causes them to divert their players away from an offensive movement against the whole of your side to a defensive pattern directed at your team. Eventually the enemy realizes that you are not going to take their castle and will just chase you around with a smaller team, taking back the resources. It is good for experience but there are other devastating and demoralizing things that a small party can do. For example you can surprise the enemy by actually taking a different castle without taking its resources. The Lumber Mill gives the doors of any Keep or Castle more strength. The Farm gives the NPC guards, more Health. The Mine gives all of the walls, more strength. Therefore it is harder but not impossible to take a Castle without taking the resources first. You will need to move swiftly and timing becomes very important. Your team will need to learn how to set up three siege weapons each. This is a valuable skill to learn. As a side note, you can also just take one resource that is particular to the area that you are attacking. This all depends on how competent your team is. The end result is more enemy diversion and a weakened attack against your side. Even if you are not successful you have gained experience points along the way. Now before you attack the Castle or Keep you should designate one player to go into hiding. If you wipe completely your players remain dead on the ground. This will worry the enemy who expect you to port back to your own lines. They will hang around for a while and it becomes a waiting game. After they have gone your player comes out of hiding and resurrects the team. In the article The Twelve Man Raid I outline the basics of causing a disruption of the enemy’s plans so I won’t go into it here but a twelve man raid can be very effective in taking Keeps and Castles. What I should add here is that the trebuchet has a long range use that allows swiftness in your attack, especially on postern door attacks of castles. This is how it works. While the siege is taking place on the outer wall and before the wall is flagged the trebuchet can fire over the wall and soften up the postern door, making it easier and faster to destroy. Since timing is very important this trebuchet attack can be very helpful once the outer wall is down. The Crown will have to designate someone for this duty prior to the attack. Once a wall is weakened by fifty percent it will show as being flagged on the enemies map. After this you can expect the enemy to start showing up to defend. It therefore makes sense to attack the outer walls in several places at once if your aim is to simply distract the enemy. This is an easy thing to do if you have twelve or twenty four players in your group. When you consider that each castle has two postern doors and one main door this becomes your target. If you stay in stealth then all hit at once this shock tactic can really be confusing for the enemy. If your team report good progress in one of the three areas then you can rally at this point for the final push past the walls. You can have several designated stealthy resurrecting players or use a forward camp. Usually when an army is twenty four players all your team want to do is Zerg but a good leader can use far better tactics and be far more effective in preventing the opposition from obtaining Emperor. With the intelligent use of stealthy resurrecting players and blood port you can create a lot of damage. In the event of the enemy capturing the castle and therefore getting through your gates ( Chim or Ghartok ) you have a very effective tactic up your sleeve. You rush to the Temple dome in which the scroll is kept and place some oils right up on the pedestal in the middle. You also can set up ballistae or meat sacks and target the scroll. This makes it almost impossible for the enemy to take it. So all that needs to happen is that the rest of your team need to keep the enemy at bay. This will require destroying any forward camps and also taking back the Castle. This will close the gate and eliminate a re-spawn place for the enemy. (See blood port tactics behind enemy lines). Then it is just a matter of wearing the enemy down until they don’t have the strength or numbers to keep up the attack. Naturally it is important to follow the instructions from Crown at all times. So I hope the above has helped you. Don’t forget, there is nothing wrong with being new or inexperienced. We all have to start somewhere. 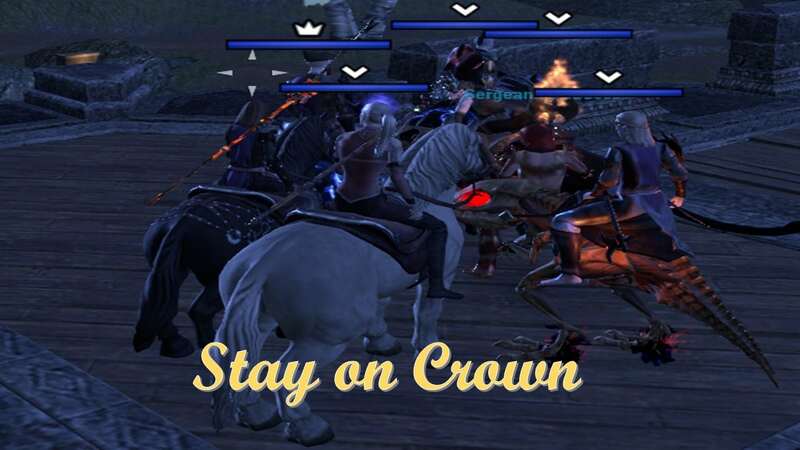 The two good things about Cyrodiil is that we want you to develop and become an active member of our team. In addition to our articles on the subject the web has lots of info too. Do You Want To Be a Part of Savage Hearts? Whack a Boss For the Newbie. Copyright © April 20, 2019 | Handcrafted by Creative Marketing Strategies, Inc.